HOW DO WE SACK AUSTRALIA POST??? & kick start a national delivery system to bring Australia post back into line. charges even higher than they were before which were too high anyway. The postal system says only 7% increase….!! Tell that to the people who think different where it is at least 16%…PLEASE EXPLAIN..
Australian websites to compete online with their foreign counterparts, worried business-owners say. increased prices for prepaid parcels, which came into effect this week. resulting in increased costs for online sellers of up to 40 per cent. and would now include tracking as standard. and then choose add-ons such as extra cover or cash on delivery, a spokeswoman said. some retailers revealed, once add-ons were included. via the Click and Send service but now universally available, almost tripled, from $1 to $2.95. no longer compete with international sellers. have to pay $11.70 in postage to send an $8 paperback book. Booksellers in the UK can send the same book to Australia for around $3. 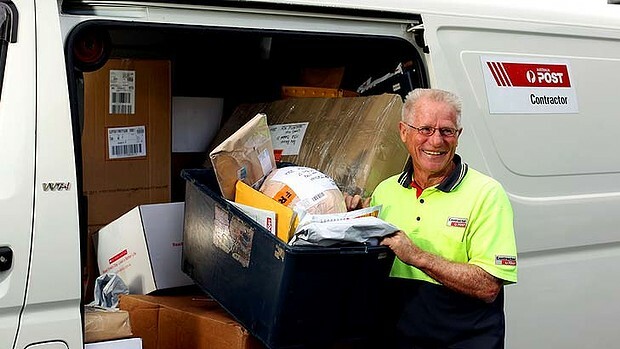 said Australia Post’s price increase was a “direct hit” on online shopping. “It’s really upsetting to a lot of people,” she said. three years ago. As of Monday, Ms Fernando would have to pay $8.35. the additional costs would be passed through to consumers. Choice’s head of campaigns Matt Levey said. according to National Bank Australia. to implement a locker system for online retail parcel deliveries, to begin in May. petrol stations, corporate and retail buildings and office parks across Australia. This entry was posted on Monday, April 8th, 2013 at 1:08 pm and is filed under POSTAL SERVICES COURIERS, PRICES. You can follow any responses to this entry through the RSS 2.0 feed. You can leave a response, or trackback from your own site. Copyright © 2019 OZRURAL.COM.AU is proudly powered by WP and the Nature WP Theme. Created by miloIIIIVII | Log in | 80 queries. 13.113 seconds. | Entries RSS | Comments RSS.